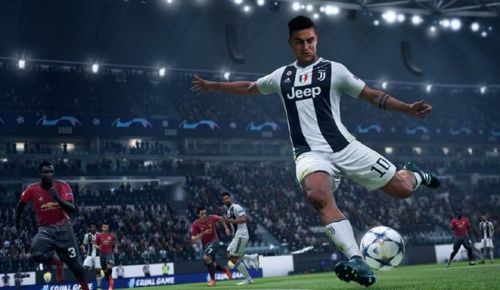 EA Sports' FIFA 19 will hit the stores on 28 September 2018 for PC, Xbox One and PS4, and the game promises to bring a host of changes to its design and gameplay; the influx of the UEFA Champions League is the most exciting feature to look forward to. FIFA 19's demo will be launched on 13 September 2018, and as a part of the build-up to the game's release, the company behind the franchise announces the top 100 players on the game. However, the list always has its fair share of controversy, with players being rated higher or lower than their true potential along with a few surprise inclusions and omissions. In this article, let us shed some light on the five players who should have been ranked higher on EA Sports' FIFA 19 top-100 list and deserve a spot in the top 10. Robert Lewandowski just misses out on the top-10 and is ranked 11th on the list. The 30-year-old Polish striker received a downgrade of one point in FIFA 19, taking his overall to 90. Lewandowski established himself as one of the most dangerous strikers in the German Bundesliga through the years and the last season was no different. The Pole netted 29 goals last year for Bayern Munich, which helped the club to lift yet another league title. The 89-rated shooting attribute is Lewandowski's highlight in FIFA 19, which allows him to send the ball into the back of the net from virtually any angle.